Social Media Marketing is a process to promote your website or blog using social networking channels and is considered as one of the genuine ways to gain massive amount of traffic, leads and sales from social media websites. Social Media Marketing includes many phases, all focused on promoting your products or services among social media websites. 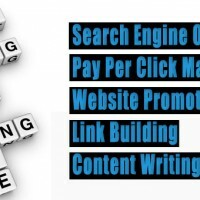 At Web Sequel SEO, we have our own set of processes to improve the social presence of our clients products or services. Social Networking deals with creating profile on social networking websites. If you already have a profile, we manage and optimize your profile to increase your fan base. We also identify your industry-specific social networks and create and manage profiles in your niche. Another aspect of social networking services is to get involved in online social discussions and join groups that relate to the services offered by you. Blogging is a viral tool in the social media. In blog marketing, we suggest ideas for blog posts that are related or relevant to your industry trends. We also focus on adding social bookmarking widgets, Facebook ‘Like’ box, Subscription box etc to follow your blog on social media websites. We integrate your blog into the overall marketing campaign and promote the posts across the social web and attract visitors to your site through your blog. Social Bookmarking is an efficient tool to share your content among social bookmarking websites. We make sure that your site gets noticed through bookmarks and is marketed to the right online communities. We build reputation for your profile by doing quality bookmarking relevant to your industry and to your network of target audience. Web Sequel SEO has highly valued profiles in more than 100 social bookmarking websites such as Digg, StumbleUpon, Delicious, etc. through which we get leads to your business. Videos are quite popular among social networking websites as they have the potential to drag traffic. Web Sequel SEO manages your video promotions on popular video sharing websites such as YouTube, Vimeo and others. We upload videos with appropriate descriptions and tags in order to facilitate easy indexing. We do a lot of viral video promotions for your site. Viral videos result in many people embedding your videos in their websites and you often get listed above conventional web pages in search engine results. Social Media is growing at an enormous rate and hence advertising in social media websites is like calling out to half the world populace. In our social media advertisement service, we create Facebook and LinkedIn ads and target visitors based on your services or products. We manage campaigns, demographics of users, conversation rates and send reports based on the leads generated from conversations. Since we know the importance of Social Media Marketing we emphasize the potential to gain target visitors based on your services.